What does the packaging look like for orders from Name Brands? Products will be shipped using DHL and will have only the address of the source warehouse on it. It is shipped with no name on it. There will be no invoices or any other material included inside the package. 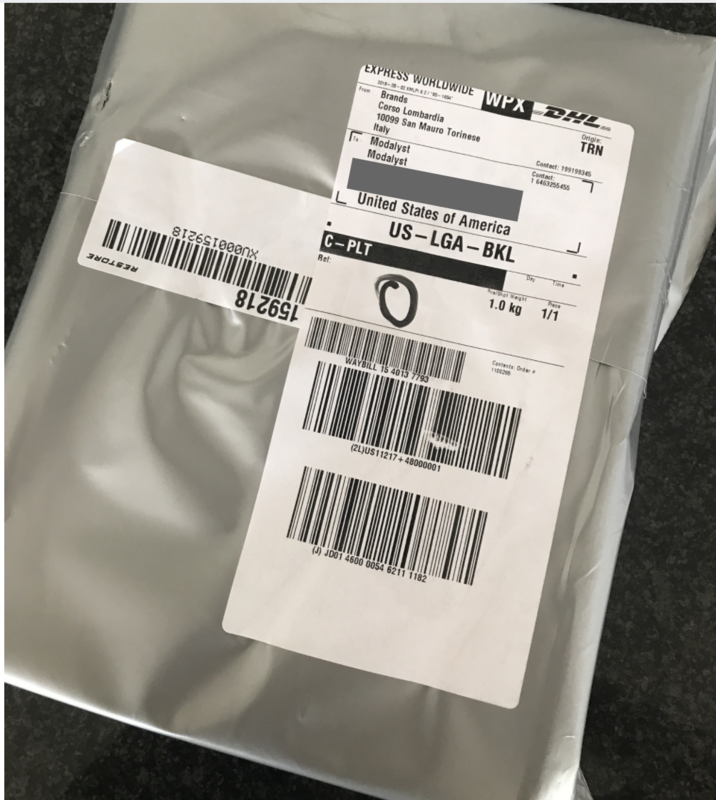 Here is an example of a package that your customer will receive. This is for these shoes.